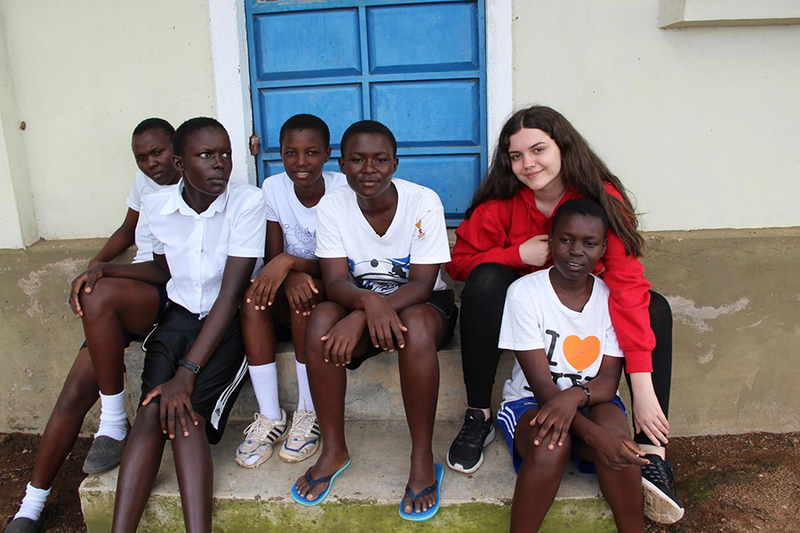 In late February, students in the Women’s Institute for Secondary Education and Research (WISER) Global Service Program group traveled to Kenya for nine days, where they worked closely with WISER, a girls-only boarding secondary school in Muhuru Bay—a struggling rural community on Lake Victoria. 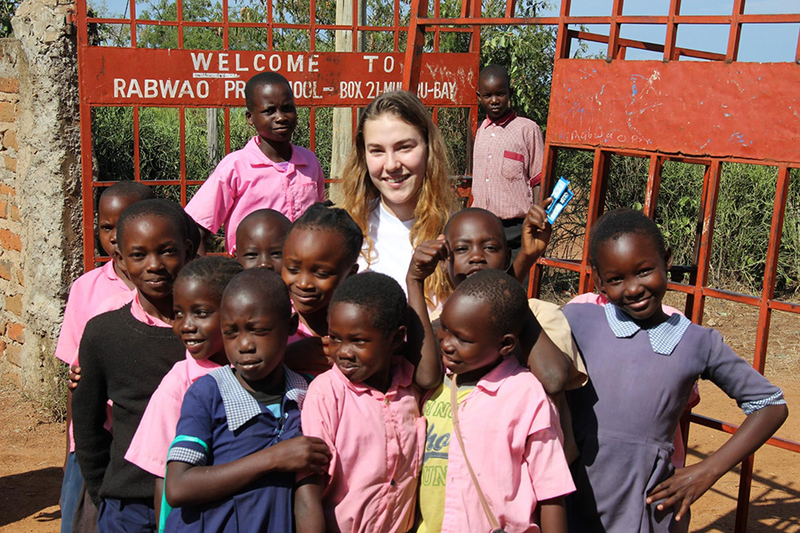 After examining issues of universal education and gender equality in preparation for the trip, students spent their time in Kenya getting to know the WISER girls, helping out at local primary schools, educating the community on the benefits of purified water, and providing HIV education through the READY program. Diana Kuznetsova examined one day of this year’s trip, which was led by Global Service Program Director Zach Mulert and High School EAL Teacher Hope Schlicht. Ms. Schlicht, who we called Teacher Hope, would come to our dorm and wake us up with these words each morning. The dull beam of light emerged from nowhere, and I was finally awake. Every day all of us, the girls, would oversleep and have to hurry to not be late for our first activity. As we sat at the table half awake, we would eat breakfast, which everyone loved. We all craved the mangoes, and I could taste the freshness and the silkiness with each bite of the freshly-harvested fruit. On this particular day, February 28, our first mission was to visit an assigned primary school and learn more about the children and how the school differed from WISER. All of us—10 students—were paired up so that we could support each other and help whenever needed. As my Picki-picki driver and I approached the school, I could see a crowd of kids waving their little hands in the air and waiting for us. Their high-pitched voices welcomed us to their school, and they guided us to the office of their principle. The bulky, intimidating man in a suit who called himself “The Principle” introduced us to the school’s group of teachers, and then we were shown our class. We were referred to grade seven, whose students were already able to speak English. When it was time to depart, the kids wouldn’t let us go, and we didn’t want to leave. The first thing that came to my mind when we entered the room was, “Wait, how many kids are in this classroom? I don’t know if we will we able to handle that many of them.” I exchanged nervous glances with my partner as we crossed the threshold of a missing door. I lost count as I carefully tried to count the children in the class. I could not believe how small the classroom was for so many children, and some of them had to sit on the floor because there were not enough chairs for everyone. Nevertheless, our job was to separate boys and girls and create posters that explained the challenges faced by each group. Out of curiosity, I decided to talk to the boys, as I had already spent time with the girls at WISER. I thought the children would not listen to us, but fortunately I was wrong. On the contrary, they were quite willing to work with us, and I felt like a real teacher because they were paying so much attention to every single word I said. I was a bit nervous at first, but then I could see so much enthusiasm coming from them because they do not often have this opportunity to open up to someone. I was astonished by how open the boys were and by how much they have to go through every single day. Many had to walk great distances to get to school each day, and some were used to not eating for days at a time. The thing I was scared the most of was seeing the children get caned by their teachers. And to my disappointment, this school was no exception. The boys told me how the teachers would hit them with a wooden stick whenever they made a small mistake. I was stunned when they brought the stick to show me, and I could not believe that such small children would be hit just because they forgot their book at home. When it was time to depart, the kids wouldn’t let us go, and we didn’t want to leave. As we sat down in the backseat of the Picki-pickis, their faces changed from delight to anguish as they waved farewell to us. For the second half of the day, our activity was to attend and participate in a club at WISER. To be honest, I was a bit nervous about it and didn’t think it would turn out well. But I was surprised when this turned out to be my favorite activity with the girls. We could choose between multiple clubs, such as Engineering, Drama, etc. I chose the Environmental Club because the girls talked me into it, and I didn’t mind. The first thing we did was collect seeds from the seed bank to plant in the garden. Due to my inexperience in this field and my clumsiness in general, I of course dropped all my seeds the moment I got them. Patient and nice as they were, the girls just giggled slightly at me and helped me pick them up. I was so embarrassed, but the girls cheered me up and we continued to walk to the garden. I knew that I couldn’t even make an excuse when they asked if I knew how to loosen the soil. It was not a surprise for them when I told them I was not able to that, and they patiently helped me and taught me. We successfully planted the seeds while talking and sharing many stories. I think this was the most significant day because I felt that I was able to connect with the girls and help them to the best of my ability, and they really appreciated it. Even though we did not provide them with any clean water or any materialistic help, the main thing was to show that there are real people out there who care about them—not just those who make donations. This may seem like a typical thing to say after a trip like this, but this experience opened my eyes to another part of the world, showed me that there are many things I just took for granted (such as my opportunity to have an education), and made me understand how insignificant my problems are. The advice that I would give to anyone traveling to WISER next year is to have no expectations and to be open with the girls because their kindness will change you. The Global Service Program was envisioned by Jan Opsahl ’68, who became the first international student at TASIS when he came from Norway in 1965. The pioneering program was launched in 2013 with major support from a most generous donation from Mr. Opsahl and his family to set up the Global Service Trust. This Trust, along with support from the TASIS Foundation, make this incredible, life-changing experience for our students possible. 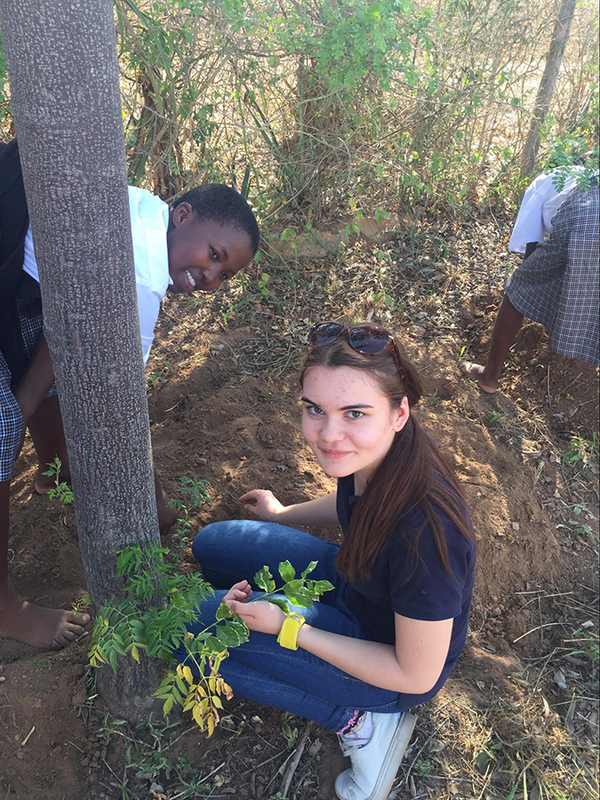 The Global Service Program transforms lives by providing every High School student a unique opportunity to connect across borders through comprehensive experiences that build empathy and encourage personal responsibility. Participation in the program—which is designed to awaken students to humanitarian needs, inspire them to build enduring, mutually beneficial relationships, and lead them toward a life of active citizenship and committed service—is a graduation requirement. See photos from this year's trip to Kenya, and watch a video about a trip from a few years ago.